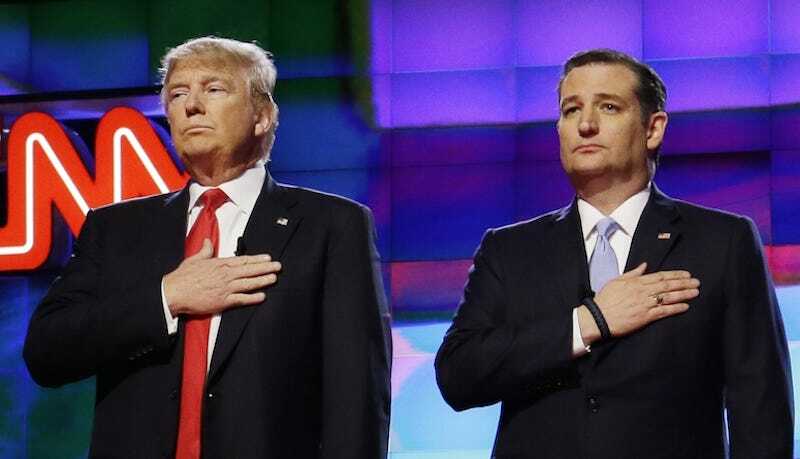 Not two months after declining to endorse Donald Trump, Ted Cruz has endorsed Donald Trump—the man who insulted his wife, questioned his integrity and owned him so thoroughly that just about the only thing he had left was his grubby endorsement. Does this sudden change of tides mean Cruz agrees with Trump that he’s a liar with an unfuckable wife whose father murdered JFK? Transitively speaking, yes.